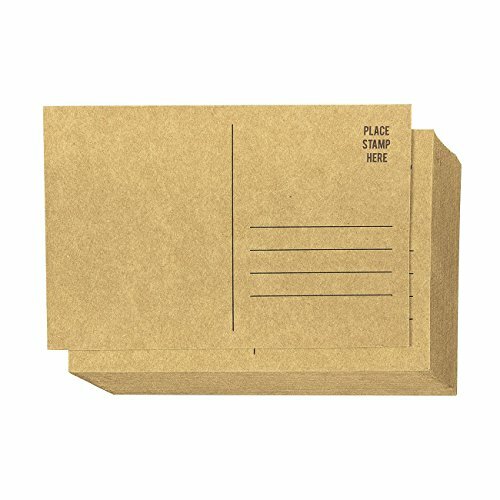 This pack of 50 blank kraft postcards will prepare you for all your card-sending needs! Cut the hassle of rushing to the store and overpaying for cards. This pack consists of 50 blank postcards to include your very own custom messages and designs for corporate and personal use. Each postcard is blank on the front and printed with address lines on the back on heavy 350 gsm card stock that is durable and easy to write on. Make a statement with these postcards when you send them out for special announcements, real estate marketing, promotions, moving announcements, or simply greeting a friend. Each card measures at 4 x 6 inches which conform to USPS First Class Mail rate size requirements. Make sure you have plenty of postcards on hand for when occasions arise. 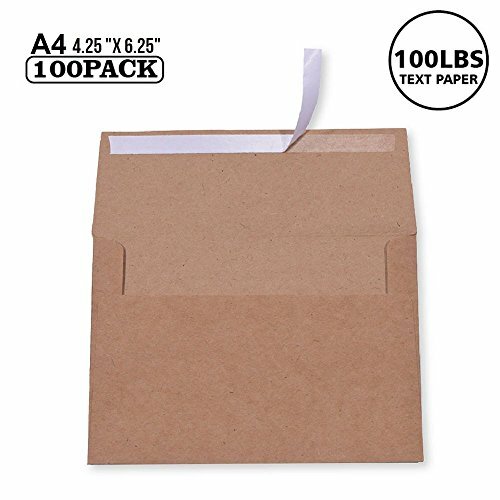 If you want a blank pack of cards that you can put anything on, get this pack of 48 such cards. It also comes with 48 corresponding v-flap envelopes that fit perfectly. Decorate the double-sided cards however you want with paints or markers, or just write a note. You can use these cards in the printer to print the cover or the messages. 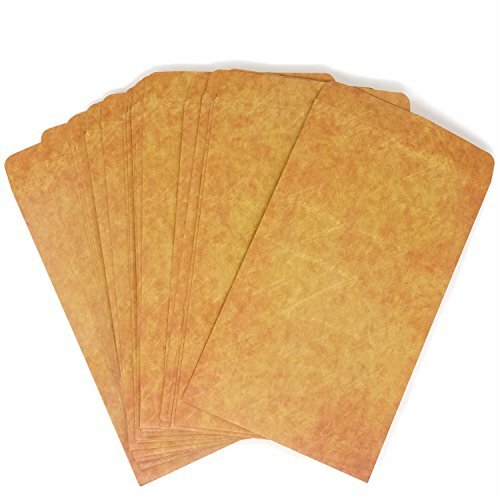 This pack of 100 sheets postcard paper are ideal for printing your very own custom designed cards for corporate and personal use. Each sheet is made of 170 GSM card stock that is pre-scored with a channel line for neat and efortless tearing. Suitable for inkjet and laser printers, create one-of-a-kind note cards and make a statement when you send them out to your friends, loved ones, and business clients. Each sheet measures 8.5 x 11 inches and each card 5.5 x 8.5 inches. Make sure you have plenty of greeting card stock on hand to print for any occasion that arises. 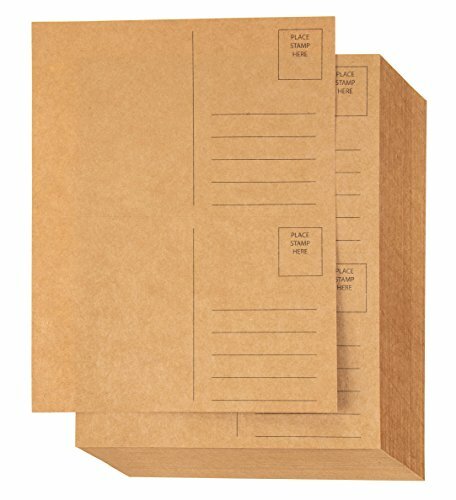 This pack of 100 blank kraft postcards will prepare you for all your card-sending needs! Cut the hassle of rushing to the store and overpaying for cards. This pack consists of 100 blank postcards to include your very own custom messages and designs for corporate and personal use. Each postcard is blank on the front and printed with address lines on the back. Make a statement with these postcards when you send them out for special announcements, real estate marketing, promotions, moving announcements, or simply greeting a friend. Each card measures at 5.5 x 8.5 inches. Make sure you have plenty of postcards on hand for when occasions arise. All Natural Favorite since 1901. 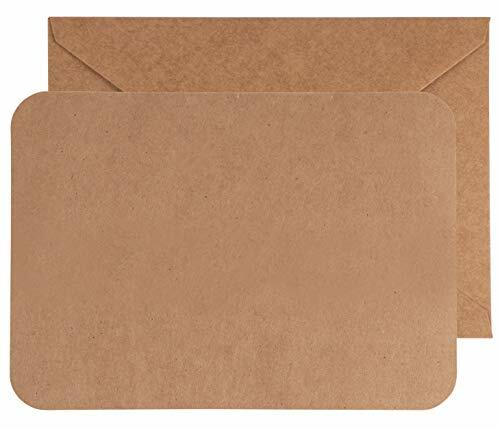 The Greengrocer's Brown Bag paper and envelopes are 'earthy' yet attractive. This distinctive text and cover offering of traditional grocery sack material, re-engineered for the demands of today's creative communications and will work great for inspired projects. This product is laser and inkjet friendly. 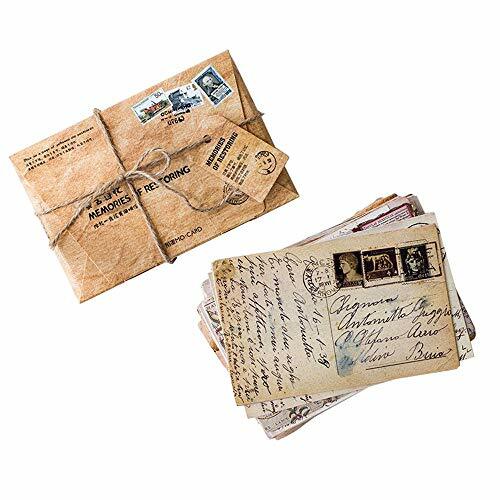 1、Materials:paper and hemp rope ; Style: Retro Style ; 2、Size:: 14.3cm x 9.3cm;Weight:140G; 3、Package: 32 Pcs 1 Set vintage retro old travel Postcards, 4、Fun collection of Vintage Retro postcards. 5、Good to send to friends or create small little displays in your house. 6、A great gift idea for man or woman! 7、Good to send to friends or create small little displays in your house. 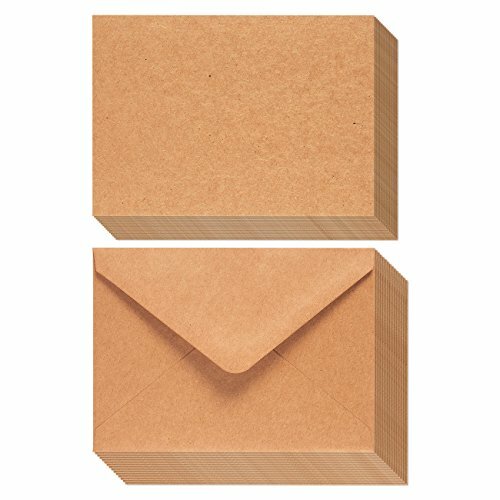 These 4.5 x 6.25 Inch Kraft Envelopes are sure to excite and create anticipation when received. Great for holiday cards, greeting cards, invitations, announcements, Photos, Letters, Personal Mail and Direct Mail. 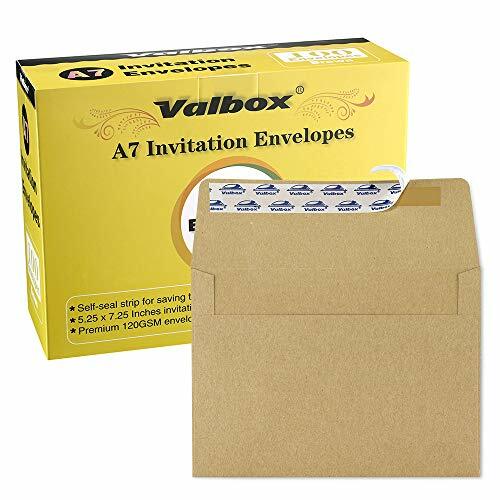 Pack includes 50 Kraft A7 Envelopes and 50 Blank Invitation Cards. 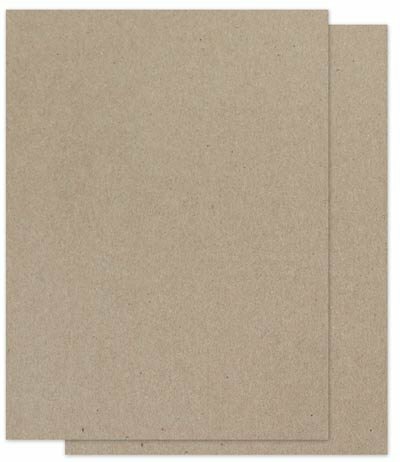 Envelopes and cards are made with natural kraft paper, designed to give each envelope a sleeker and more elegant feel. Great for Holiday Cards, Greeting Cards, Invitations, Announcements, Cards, Photos, Letters, Personal Mail and Direct Mail. Always useful for Birthdays, Weddings, Parties, Holidays, Corporate Events, Banquets, and Showers. To seal simply wet and stick. 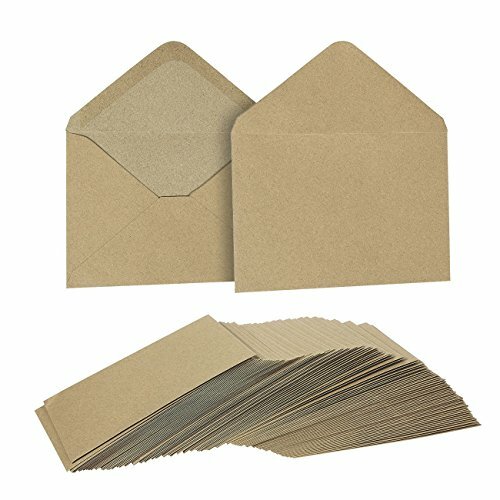 Envelopes are 120 GSM and Kraft cards are 250 GSM. About ValBox. Engaged in envelopes, paper boxes and other home and office paper products supplies, Valbox is a direct-sale store of a paper products manufacture. We advocate the love and natural concept, insisting on using recycled material in the process of production. Hope Valbox can provide you, our valued customers, the high quality products and intimate service. 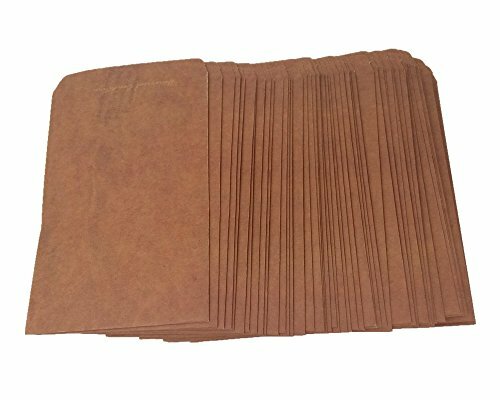 ValBox A7 Brown Kraft Paper Invitation Envelopes 5 x 7 Inches 100 Pack. 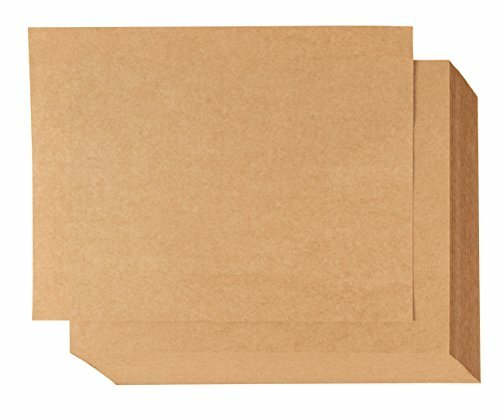 Pack and Size: 100 Pack A7 Invitation Envelopes, 5 ¼ in x 7 ¼ in / 5.25" x 7.25" Uses: Invitations, Wedding Envelopes, Wedding Invitations, Event Invitations, Announcements, Holiday Cards, Greeting Cards, 5 x 7 Photos, Letters, Mailings, Personal Mail, Direct Mail. Key Features: Peel and stick; Square flap; Laser and Inkjet compatible; Privacy guarantee. 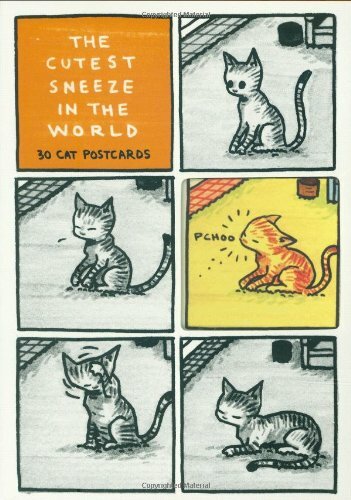 The beloved comic artist of Cat Getting Out of a Bag has created 30 different color and black and white cat postcards to keep or send. Includes 8 all-new strips! 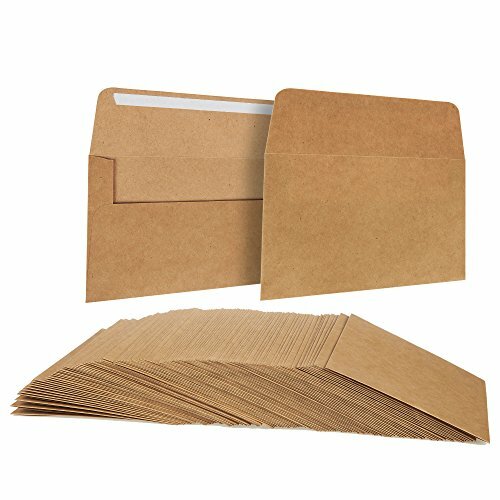 Convenient and secure self-sealing envelope set; great for mailing private or business-related documents, catalogs, direct mail, promotional material, brochures, letters, and more. 100 pieces. This whimsical burlap deer sculpture will happily roam in your home and keep watch over the room with its unblinking amber eyes! Covered in postcard print burlap with sisal rope antlers and sewn-on eyes, this 12.5 inch long, 9.5 inch high, 5.25 inch wide (36x24x18 cm) deer statue is a great accent to rustic decor on tables, shelves and dressers, and a fun gift any deer lover is sure to adore! This pair of throw pillows is a wonderful accent for anyone who loves all things French! Each pillow features a postcard style silverware theme on the front, in tan, against a brown canvas cover. The pillows measure 16 inches by 16 inches, and have zippers on the back of the cover so you can remove and wash them. The pillow inserts are 100% polyester. They look lovely on beds, chairs, and couches anywhere in your home, and makes a great gift for a friend. This throw pillow is a wonderful accent for anyone who loves all things French! 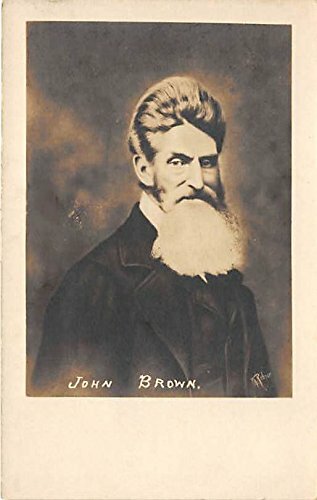 It features a French postcard style Victorian Paris theme on the front, in brown, against a tan canvas cover. The pillow measures 16 in by 16 in, and has a zipper on the back of the cover so you can remove and wash it. The pillow insert is 100% polyester. It looks lovely on beds, chairs, and couches anywhere in your home, and makes a great gift for a friend. Fabric Shower Curtain with digital printing. 3 sizes available. Comes as shower curtain set with free hooks in the package. Printed by state of the art digital printing technology. No color fading in time. No Liner Needed. Non Vinyl, Non Peva. High Quality Turkish Fabric. Machine Washable. Environmentally friendly, no dye substance harming health of your family. Mold and mildew resistant. Adds great perspective that completely changes the look of your bathroom. Vibrant colors. Clear Image. A designer artwork. Not a common usual shower curtain you can find anywhere. Unique. Genuine. FUN. Matches well with various color palates of towels, rugs, bathroom mats and any other bathroom accessories. A mini bathroom makeover. Quick and luxurious way to refresh and completely change the appearance of a bathroom without a big expense with a single touch. A perfect gift idea for your mom, dad, sister, brother, grandma, wife, husband and all other beloved ones with thousands of surprising designs. You can find a theme for everybody for every area of interest in our collection. When they open the present they will be shocked by the superior quality of the item. No color fading as you use the shower curtain thanks to the new digital printing methods. There will be no color difference on the surface and the cloth will not be easily damaged as a result of machine washing as it is made of very high quality 100% polyester tight woven fabric. It is not too thin or too thick. Waterproof and dries fast after you take a shower. Easy to use. Adds real value and depth to your bathroom decoration. High resolution pictures and photographs brings 3D like realistic experience to your life. Bathroom is the place to relax. Its where you spend a considerable part of your day. Enter into a new world by having our shower curtains. Can be at a seashore, can feel ocean waves or meditate by the sound of water while staring at mountain landscapes. If you are a fan of sports or have a hobby of any kind, you will be spending time with it in your very personal space. Customized, personalized products are very popular. As manufacturers of digital printed home textiles, we follow current trends and bring you the latest home fashion. Either a gift to your family or friend, relative or boyfriend girlfriend, or a gift to yourself, the item should be interesting, authentic. Men or women, kids teens, boys or girls everybody will love this shower curtain. Any person from any profession will get excited and thrilled by the difference that curtain brings to your house decor.